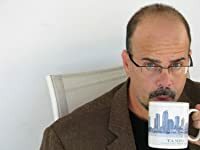 Christopher Buehlman is a native Floridian and author of the literary horror novels Those Across the River and Between Two Fires. He is the winner of the 2007 Bridport Prize in poetry, and the author of several provocative plays, including Hot Nights for the War Wives of Ithaka. Many know him as comedian Christophe the Insultor, something of a cult figure on the renaissance festival circuit. He lives in St. Petersburg, Florida. His first novel, Those Across the River, was nominated for a World Fantasy Award for best novel in 2012. CLICK HERE FOR MORE BOOKS BY CHRISTOPHER BUEHLMAN. 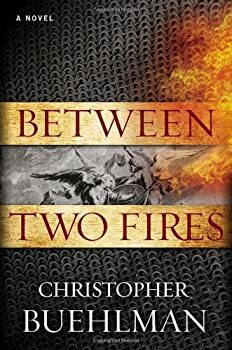 Between Two Fires by Christopher Buehlman is a hybrid fairy tale / fantasy / horror / historical fiction. These individual parts blend to create a fulfilling whole in a Canterbury Tales-style story of a fallen knight and spiritually lost priest who journey across France during the plague-ridden middle ages with an orphaned girl who's either an exceptionally special individual, a weird witch, or a gift (literally) from the heavens. 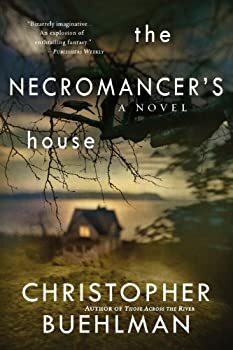 The Necromancer's House, by Christopher Buehlman, is a scary, funny, fast-paced urban fantasy novel with a rich voice and likeable characters. With its multiple viewpoints and several satisfying reveals along the way, it is one of the most well-crafted and exciting books I have read in a while.